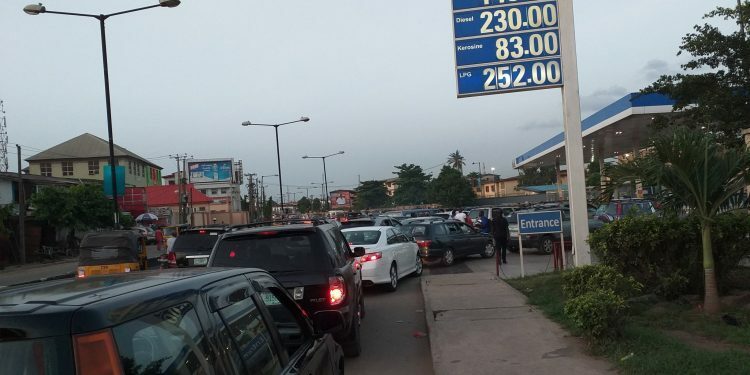 Residents of Lagos are currently experiencing scarcity of the premium motor spirit (pms) aka petrol. Our correspondent reports that a number of the filling stations in the city are not selling the product because it is not available. Most of the filling stations on Oshodi- Apapa expressway have shut down because they do not have fuel to sell to motorists. However, only one station close to Sanya area on the road was selling to motorists and those buying with jerry cans. “I don’t understand this scarcity,” an angry resident told our correspondent. “I just bought this 10 litres of fuel at a filling station in Lawason area of Surulere now, but not without a struggle. “This is a sad development happening in a country like Nigeria. How do they want us to celebrate this Easter should this scarcity persists?” he queried.